Possesses strong knowledge of all the intricate requirements and time tables associates with the perfection of valid mechanics liens and public works bond claims. Regularly perfects valid lien claims on behalf of clients. Represents individuals and business entities in actions arising from breach of contract and other disputes, as well as disputes arising out of non-compete agreements. Stability, Loyalty, and Commitment. These are the trademarks by which Brad has lived his life. For the past 32 years, since he graduated from law school, Brad has worked for only one firm, Decker Jones. That is what Stability gets you. Brad has been very active in the community. Among his many community services, he has served as an elected city council member for Colleyville as Chairman of the Colleyville Area Chamber of Commerce. Brad has repeatedly given his time and efforts to his community. That is what Loyalty gets you. Brad has also served the legal community as an elected council member to the State Bar Construction Law Section and on the editorial Board of the Construction Law Journal. For over 32 years he assisted the Texas Board of Bar Examination. Brad estimates he has graded in excess of 75,000 exams during his career. That is what Commitment gets you. Two activities consume a large portion of his free time. To stay in shape, Brad competes in triathlons. He enjoys the varied training of swimming, biking and to a much lesser extent, running. Brad and his wife, Laura, are blessed with two incredible children who are happily married and live close by. His second activity, and his most enjoyable, is performing his newest job, grandpa to his three grandchildren. 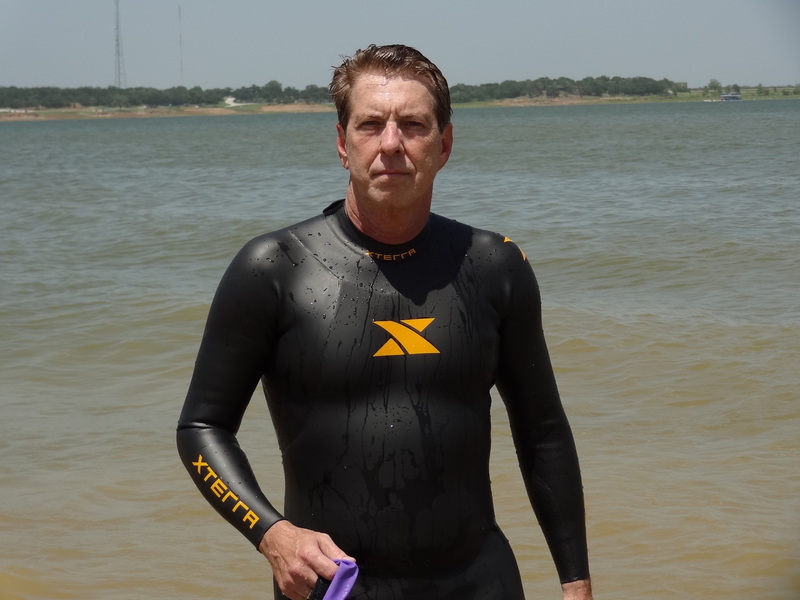 At 56 years of age, Brad takes up triathlon training.